This is a bonus Couch Potato post to let you in on something to watch this weekend. Amazon has just released it's 7th pilot season. Starting today you can watch, for free, any of eight pilot shows and vote in short survey (around 5 minutes per show). The survey results determine which of the shows will get picked up by Amazon for a full season. This is how great shows like The Man in the High Castle and Bosch got made into full seasons. In this pilot season, Amazon is featuring two pilots based on best-selling books: The Love of The Last Tycoon by F. Scott Fitzgerald and The Interestings by Meg Wolitzer. Both shows are period dramas are rated TV-MA. 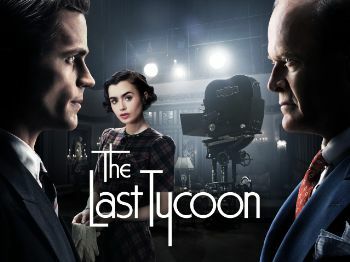 The Last Tycoon stars Matt Bomer (White Collar) and Kelsey Grammer and is set in glamorous 1930s Hollywood. The Interestings is about a group of six teens who meet at an art camp in the 70s and follows them through the next 20 years. The central figure of the group is played by Lauren Ambrose (Six Feet Under). You can see all these pilots, and if you like any of them, be sure to take the survey so that Amazon picks it up for a full season. That's what I plan to do this weekend. Slim pickings this time around. 'The Last Tycoon' is the only pilot I'm interested in.